You can shorten tabs by omitting parts like server name or login name – SQLQuery1.sql was created with default settings, SQLQuery3.sql was created with database, login and server names off. These options don’t exist in SSMS 2005. 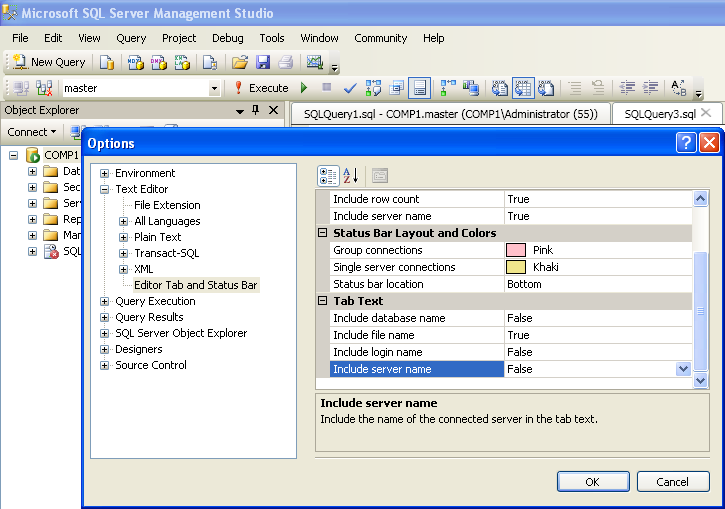 How can I change SqlQuery1.sql to let’s say sql1? I need the database name because I’m constantly changing database connections to query the different database so I need to know where I’m connected to. But it really stretches current Tabs Studio abilities and will not work if you want to keep database name.